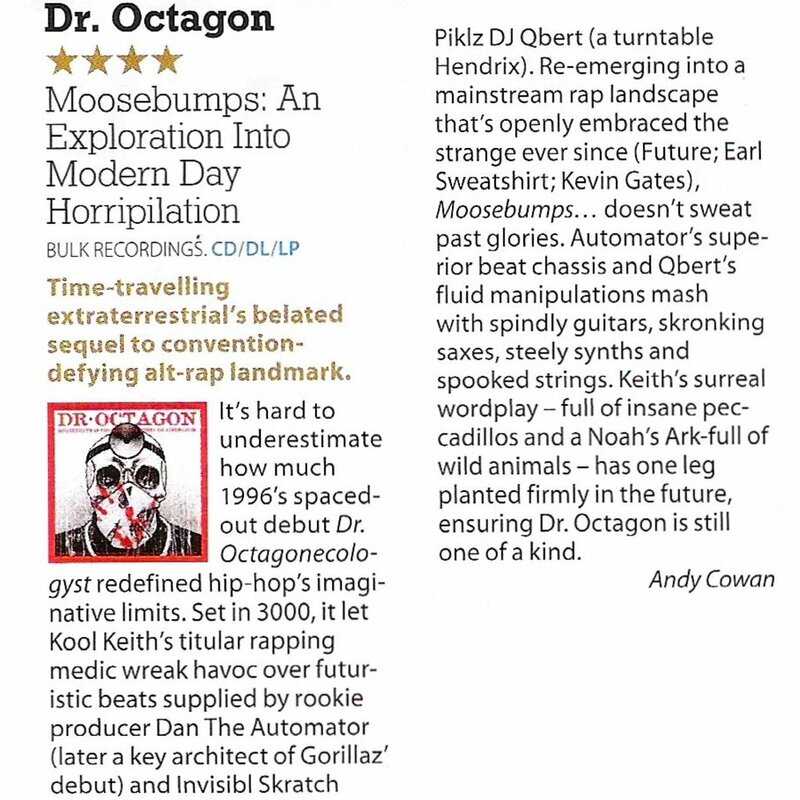 4 STAR Review for Dr. Octagon's "Moosebumps"
4 ⭐️ review for Moosebumps: an exploration into modern day horripilation in the latest issue of Mojo Magazine! Have you gotten your copy of the new Dr. Octagon record?? If you haven’t, you can buy/stream it at droctagon.lnk.to/Moosebumps!